These sandstone man-handable rocks come in various sizes and natural colours. They are an excellent choice for building informal garden edges, dry creek beds and small stack walls. Note: Rocks will vary in size from as small as 200mm up to 600-700mm. 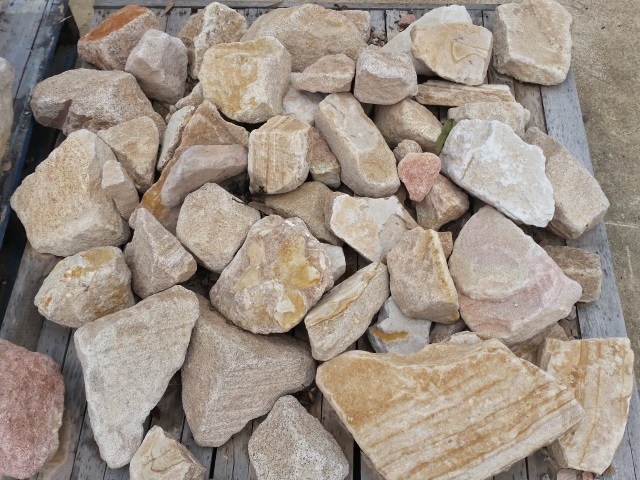 – Please note that where these rocks are being delivered, they will be tipped off the back of the truck so an appropriate drop spot will be required.